Cherry Limeade is a favorite summertime drink around here. The first time I had this was a few years ago when my sister made it. I couldn't get enough of it and knew I had to make it. With the warm weather finally here our family is out and about more. We tend to cook a lot on the grill and enjoy family get togethers frequently. 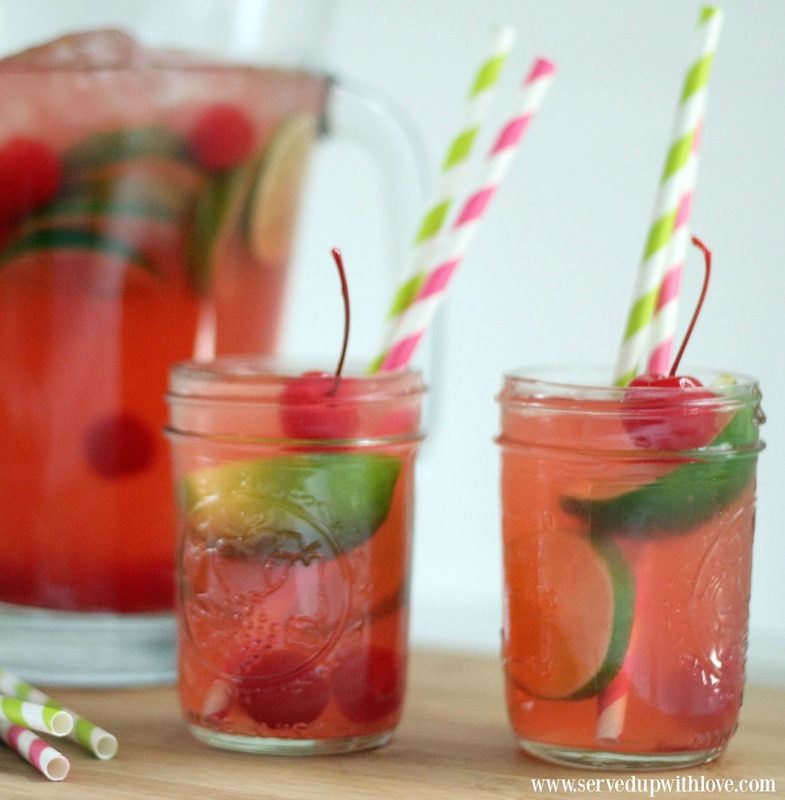 This is perfect to take to the beach, the pool, a picnic, or just to enjoy on the deck or patio. We will be serving this at our son's graduation party next month. Who knew that a few ingredients could come together and be so refreshing? You seriously need to make this today! Chill all ingredients before mixing. 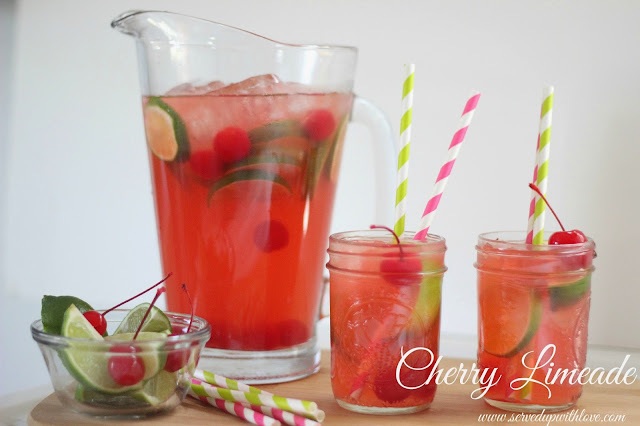 When cold, combine the lemon-lime soda, lime juice, sugar, cherries with their juice and lime slices in a large pitcher and stir. Refrigerate for 30 minutes.